A pair of 1,500-year-old and 250 feet giant sequoias – whose branches are the size of normal trees – dramatically fell to the ground on September 30 in California. Gerrit Panzner, a German tourist, watched the two 250 feet trees fall to the ground at the Trail of 100 Giants in Sierra Nevada, California and captured the amazing moments and the crushing sound on video. The trees lay the length of a football pitch and their diameter of their torn roots and base was 20 feet. “It can’t be possible,” Gerrit Panzner, who watched the tree fall, told Catholic Online. Gerrit Panzner heard loud “crinkling” noises before they eventually fell – but nobody was injured. The trees are believed to have fallen over because they could simply not support their weight anymore. 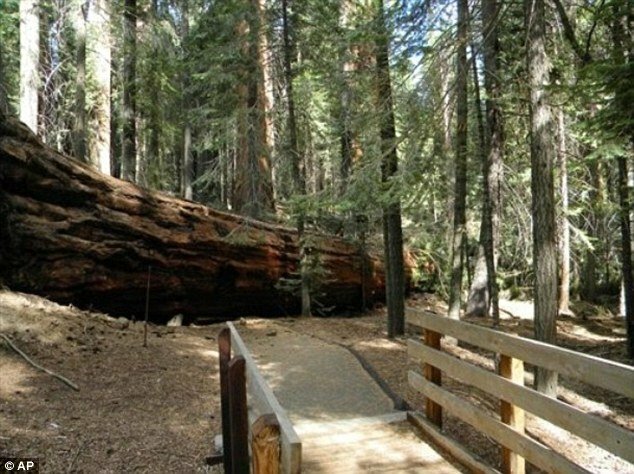 The trees fell on the Trail of 100 Giants in the Sierra Nevada, which is a route accessible to wheelchairs that allows visitors to view more than 100 huge sequoia trees. At this moment, Forest Service officials are deciding what to do with two of the world’s largest trees, as many conservationists have suggested they should be left alone. This would mean the trail would have to be rerouted around them, which could cause problems for wheelchair users who would not be able to use steep alternative paths, reported NBC News. Fallen trees can also be a habitat for wildlife and release nutrients back into the soil, reported the Los Angeles Times. The trees became a national monument 11 years ago. Forest officials have even suggested building a bridge over the trees or cutting them up for firewood, reported NBC News. Officials are set to make a decision on what to do by next summer, but until then are inviting the public to help them decide. “It’s very, very rare for a giant Sequoia tree to die standing up unless it’s in a very, very severe fire,” a district ranger told Catholic Online.